Project Cars 2 vs Forza Motorsport 7, GO! I am a longtime Forza fan and have recently switched over to Project Cars 2. Now, I am completely torn on which I like more. Anyone in the same boat? Pics and conversation below. I play on an Xbox One (with the Xbox controller) pretty regularly. I mostly just run hot laps myself, trying to better my time, in a F1 qualifying type of way. I like feeling the difference between all the cars. 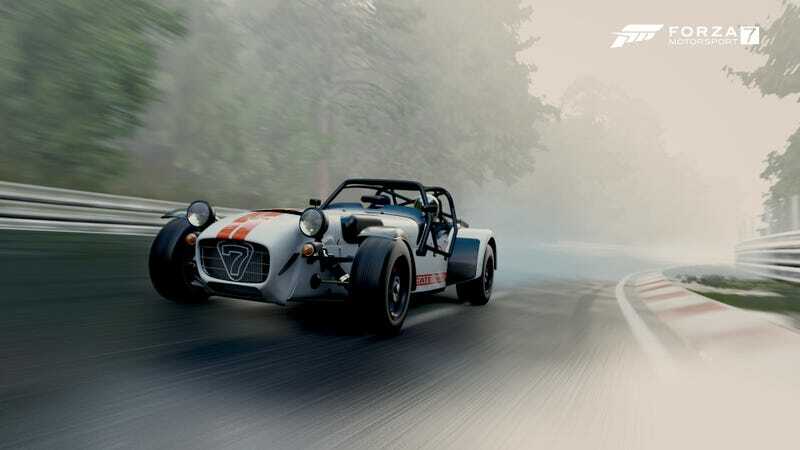 Forza has more cars, but Project Cars has better tracks. I also really enjoy their respective photo modes. Forza definitely has an edge in quality, but Project Cars offers more filters and flexible camera range. Project Cars offers a “helmet” camera which is a game changer for me. The camera will automatically look towards the apex as you approach. Anyone who has done a HPDE class knows you need to look where you’re going. Going back to Forza, the fixed camera feels very limiting in comparison. While they both offer weather changes, Project Cars is much more customization offering snow/blizzard as well as light/heavy rain. Project cars also has a pretty full roster of Rally Cross courses, something desperately missing from Forza 7 now that they have added all those trucks/SUVs. The freedom of taking any car on a rally course is incredibly fun! So, what does Oppo think? Pros/Cons of each?